Since military aviation was established, there were always special events like anniversaries, high totals of flying hours, introduction or romoval of aircraft types and so on, when units coloured one or more airplanes in special designs. 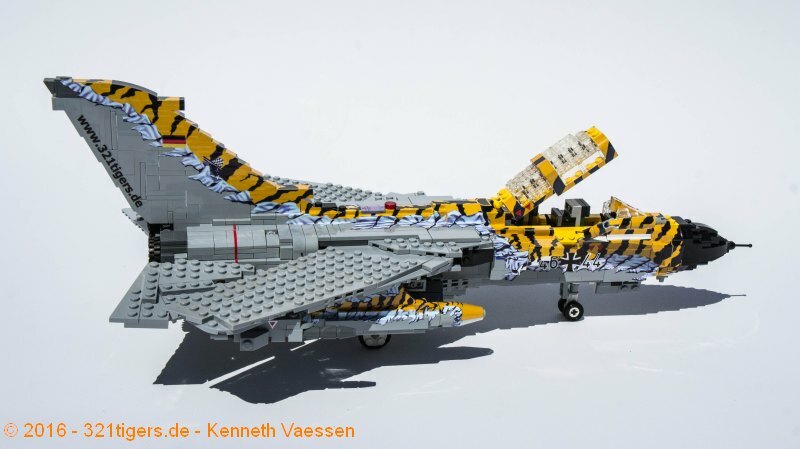 Since the foundation of the NATO Tiger Association (NTA), it became tradition, that for the visit of the annual NATO Tiger Meet, an airplane is coloured with a complete or partial cover of the fuselage. The Lechfeld Tigers have, since their introduction to the NTA, brought up one of those nearly each year of their membership. Each design has a story of its own. 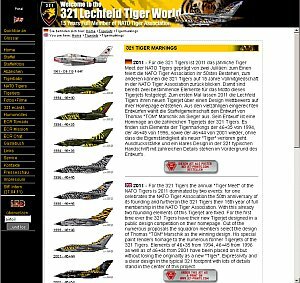 Under them were spectacular schemes like the skin peeling (Metamorphosis of a tiger) Tigerjet 46+44 (see TIGER 2001 SPECIAL below) which was copied to uncountable numbers of models and which is also available as a plastic model from the most well known model brands. Unfortunately is for each of those birds the clock ticking from the beginning until it is reverted back to a grey 'nobody'. This time has always come when the airplane has collected the number of flying hours which make it neccessary to give it for the big inspection to the industry. There, were the whole plane is ripped appart into nealy every little pieces part, of course the complete colour comes down, down to the bare aluminum skin. 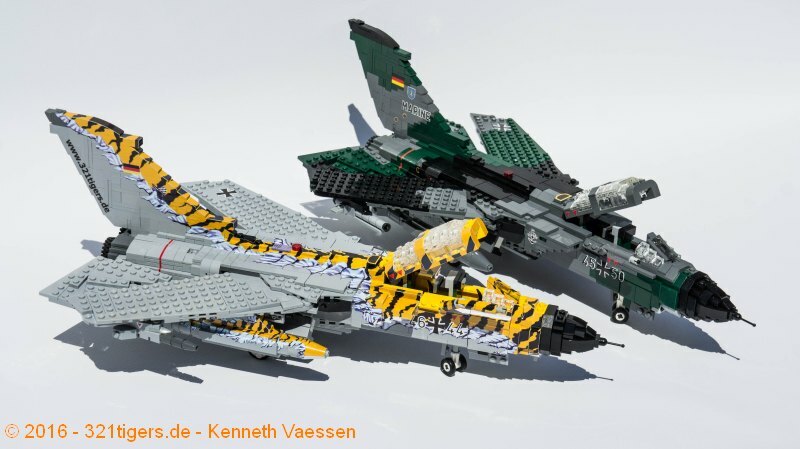 Read about the developement and the ideas of our tiger jets, from start of the membership in the NATO Tiger Association until today. 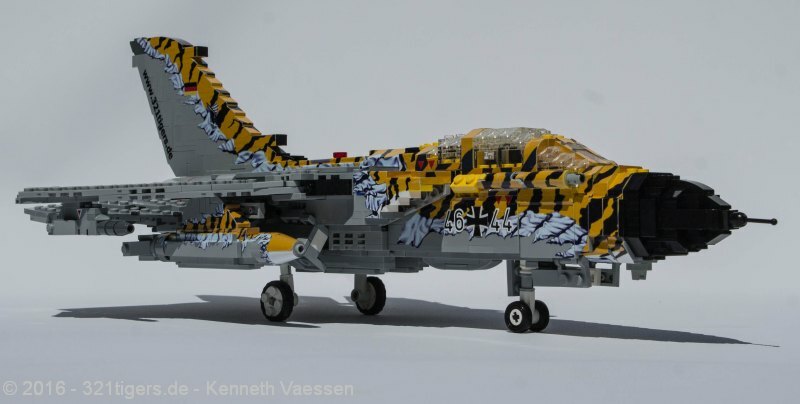 Have a look at some of the most spectacular tiger designs in NATO. The colouring itself was in former days done by the squadron members together with the painting specialists of the wing and mainly during their freetime. Nowadays the airplane goes to the dockyard in Erding but not before the design went through a complicated clearance procedure which goes up to the highest commanding levels. Before the real painting takes part, a more or less long time of brainstorming and projecting happens in the squadron. There are areas on the airplane which may not be coloured at all. These are areas with moving parts, e.g. the wingsweep area, and spots where active or passive antennas are hidden, like the black radar nose. 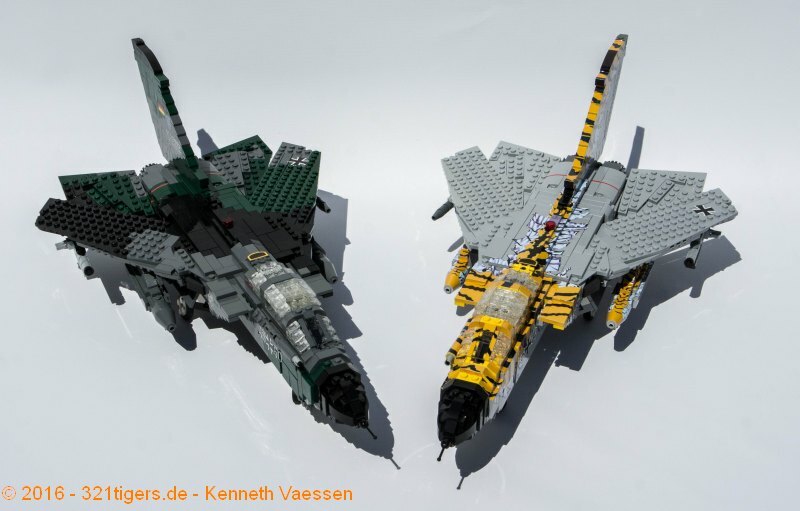 Our for a long time best tigerjet, the 46+44 from 2001, as a Model. Pictures and web album by Marcus Goebel. Tigerjet NTM 2003 ECR 46+54 as a model. Fotos from Thomas Fischer. 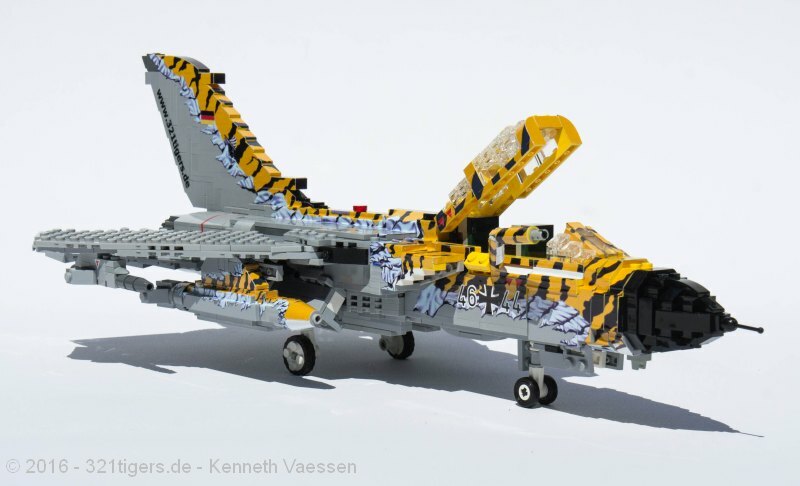 46+44 Metamorphose Jet as a toy blocks (the ones which begin with a big L, but their brand may not be told here) Project by Kenneth Vaessen from the Netherlands.